Residential roofing solutions help to provide homeowners with a durable option for their roof. Many residential roofs come in various shapes and sizes, and can be built from a broad range of materials, depending on the preference and budget of the homeowner. We’re able to meet these demands and provide feedback on the best types of building materials and roofs available. Our roofing solutions are meant to be convenient as well as efficient, durable, and professional. With residential roofing, the design options are in abundance. Many clients enjoy the flexibility that they have when determining what kind of designs they want for their roof. However, the design is only as the home’s shape and infrastructure, meaning that not any roof can be fitted to any house. If you’re looking to keep the shape of your roof but add different building materials to it, this further opens the options available to change your roof’s style. The design of your roof is intended to complement your home’s infrastructure and exterior, so we work to provide that at the completion of our roofing project. There are multiple building materials available for residential roofing such as metal, asphalt, and solar panels. All of these options are available to clients that are looking to add them to their roof for sustainable or durable reasons. They each come with their own pros and cons, something which we can inform the clients on during consultation. Adequate building materials are important to having a durable roof that you can get the most use out of for many years to come. With each of our building materials, we supply the tools and machinery needed to appropriately install them all with ease and comfort. The process of installing a residential roof really varies from house to house. It can range simple repairs to complicated overhauls and from a few days to several weeks, depending on the type of existing roof and the state in which it is in. The installation process for metal and solar panel roofs can be completed relatively quickly, while asphalt shingles usually require several days or weeks to complete. 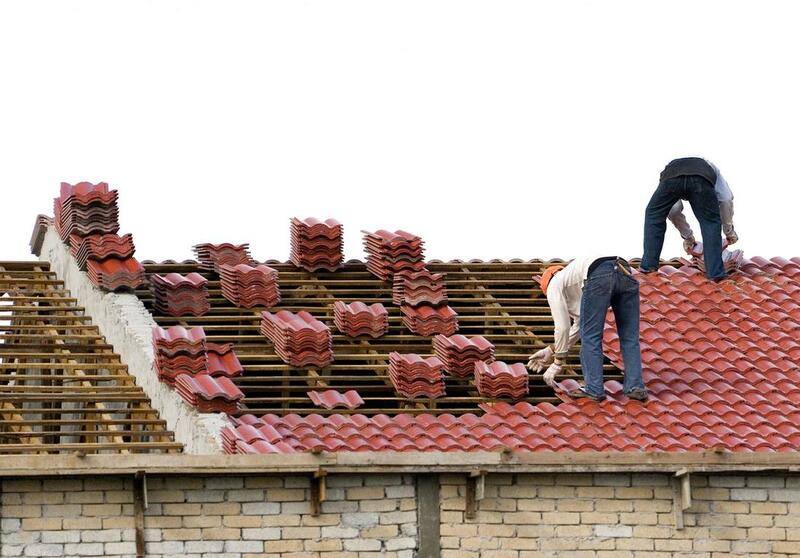 If you’re having a new roof installed, we also include removal in the process of installation. This provide clients with the convenience of having your old or dirtied roof removed and disposed of by our professionals, without the hassle of having to do it yourself. Timing is crucial when installing or repairing a roof. While it is often better done in the warmer, dryer months, it can sometimes be done in the colder months. We recommend starting a roofing project when there’s less chance of rain of snow to avoid damaging the drying materials or asphalt – if you choose shingles. The time it takes to physically remove and install new roofing will depend on the state of your roof, but we work quickly and diligently to get your house up and running again in no time.